The authors discovered 150,000 pages of transcriptions of secretly recorded conversations among German prisoners of war, of which approximately one third were made in P.O.W. camps in Britain, another cache was made by bugging prisoners in the Mediterranean theatre of the war (North Africa, Malta, Italy) and the remainder comes from the bugging of prisoners of war in the USA. These transcriptions are thus unmediated, uncensored, and unselfconsciously candid and that is what gives this book its historical significance and extraordinary impact. What emerges from these transcriptions and within these pages is a shocking and profoundly illuminating portrait of the typical German soldier of the time: their thoughts, their feelings and their ideologies. 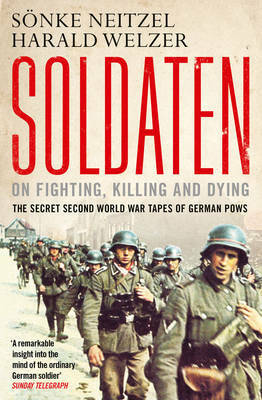 SOLDATEN is a book that explodes many of the myths that we hold on to about Germany and its people during the War.